Episode 2 "Fight or Flight"
Episode 3 "Trouble the Water"
As Pilgrims past comes into focus, Frank and Rachel find themselves in police custody, where theyre anything but safe. Its not a trap if you know its coming: Thats Franks philosophy. Madani opens up and Pilgrim plans a visit to an unholy land. Amy (formerly Rachel) develops photographs that point to a conspiracy. Russo reads his own report. Madanis story about Russo comes under fire. Episode 7 "One Bad Day"
Madanis quest to ID Pilgrim hits a wall. Russo and his crew put their plan into action. Frank encounters someone from the past. 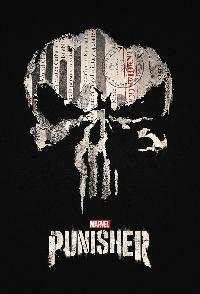 Episode 8 " Episode 8"
A big bounty inspires New Yorks worst to pursue the Punisher. A restless Amy seeks help from a fellow grifter. Russo and Krista consider the future. Episode 10 "The Dark Hearts of Men"
As Madani and Krista debate whos worth saving, Frank prepares to storm Russos territory. A brutal encounter pushes Pilgrim back into old habits.